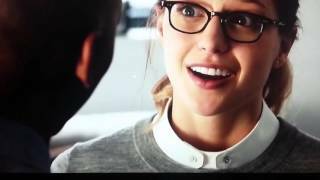 Born on the doomed planet Krypton, Kara Zor-El escaped at the same time as her cousin, Superman, but didn’t arrive on Earth until years later after being lost. Raised by her adopted family, the Danvers, Kara grew up in the shadow of her foster sister, Alex, and learned to hide the phenomenal powers she shares with her famous cousin. Years later, at age 24, living in National City and working as an assistant for Catco Worldwide Media mogul Cat Grant, Kara has spent so many years trying to fit in that she forgot to ever stand out. All that changes when she decides to embrace her superhuman abilities and become the hero she was always destined to be. With the help of Daily Planet photographer James Olsen, her bioengineer sister Alex, and the research of the super-secret, off-the-grid Department of Extra-Normal Operations (DEO), who are tasked with keeping the Earth safe from aliens, Kara takes to the skies to protect her world.